Many battery companies produce different battery grades depending on client needs and more importantly, what the client can afford. 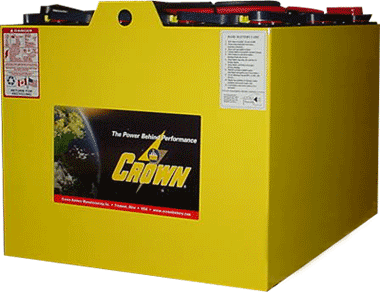 Crown Battery Industrial Batteries provide only the best quality batteries no matter your business size or financial situation. Crown batteries work with any charger, saving you the time and money it takes to buy and learn to use a special one. Our batteries use deep cycling, horizontal and vertical retention mats, and sleeve separators for extra protection against shedding, breakdown, and electrical accidents. Let IPS be your preferred motive power solution expert. Call us at 562-239-2928 today! Copyright © 2014 Industrial Powersource. All rights reserved.